A small, carved stone oil diffuser. 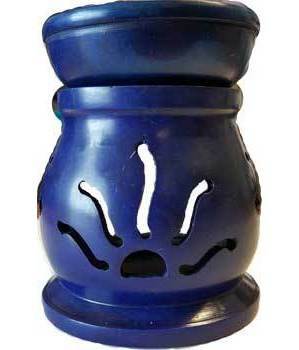 Perfect for diffusing small amounts of oil or scented water. A recess in back allows placement of a tealight. 3 1/2" x 2 1/2"